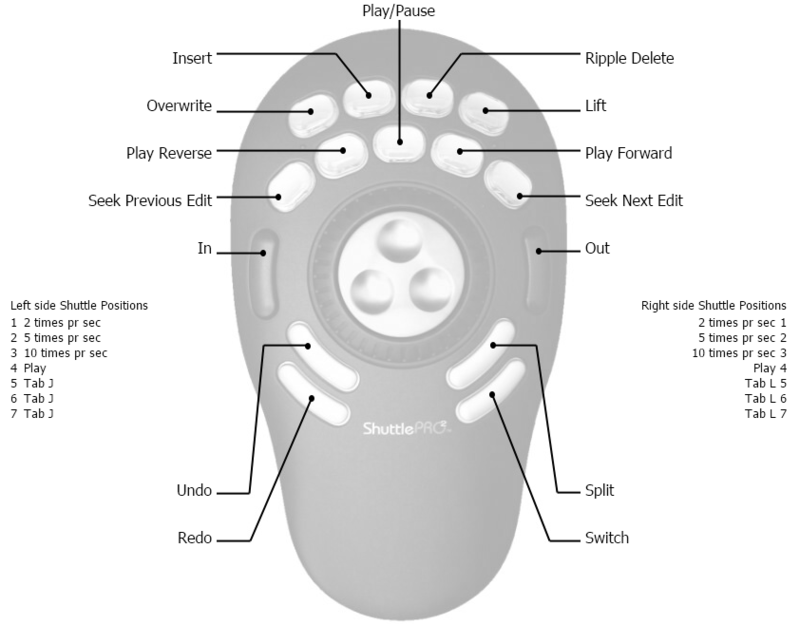 The Contour ShuttlePRO is a USB controller that provides some special functions that are very useful for video editing. A jog/shuttle controller features a wheel or knob called the jog wheel with an outer ring called the shuttle. Shuttle refers to playback speed and direction, and jog means to step frame-by-frame. Shotcut does not yet contain programming to take full advantage of this device, but power user tin2tin provided some information about how to use the Contour generic software to control Shotcut. You can download his Contour preferences file. This was developed and tested on Windows. It may or may not work on other operating systems.